Two women directors of different generations – both trained as dancers – meet for the first time. Sally Potter’s first feature ‘Gold Diggers’ had just been released. Wendy Toye’s career began in theatre and she directed her first short ‘The Stranger left No Card’ in 1952. She worked for Korda and Rank, making both comedies and uncanny tales. Directed by Gina Newson for Channel 4’s Visions series, 1984. Duration 52 mins. Neil Jordan directed ‘A Company of Wolves’ from Angela Carter’s 1979 short story in her ‘Bloody Chamber’ collection of retold stories. Anna Ambrose interviews them about storytelling and the film influences on this highly successful movie. From Visions 17 October 1984. The Deutsches Filmmuseum opened late in 1984. On 16 January 1985, UK Channel 4’s ‘Visions’ monthly magazine programme about cinema celebrated in distinctive style. Keith Griffiths’ entertaining item, modelled on a magic lantern lecture about the eye, outlines the history of pre-cinematic devices with many hands-on demonstrations and present-day bricolage reconstructions of devices. Includes examples of Reynaud’s Theatre Optique, Kinetoscope, Thaumatrope, Zoetrope and a Lumiere Cinematographe used as a projector An imaginative 10 minute tour of the newly opened hands-on Frankfurt Filmmuseum. The narrator is a bored doctor outlining the nineteenth century theories of sight which underlie many of these experimental means of animating images. Mac Karlin made this contemplative short film for a special edition of Visions about the state of the British Film Industry. In a series of moody sequences he reflects on the realities of the everyday life of filmmakers; on the ruination of entertainment cinema; the ingrained habits of much British filmmaking; and his hopes and fears for the future. Mick Eaton directed and Alan Drury scripted this amusing and insightful view of the twists and turns of UK government film policies. Shot using the then-new video technique of blue screen studio, it features Geoffrey Keen (who played the Minister of Defence in six Bond films) as the hapless Minister, and Joan Blackham and Jack Elliott as the ineffectual civil servants. It was the first part of a special edition of Visions devoted to the problems of British cinema. Based on the pioneering work of feminist photographer and theorist Jo Spence, this 4 part Channel 4 series from 1988 was directed by Nina Kellgren. This second episode, about the secrets and stories behind the seemingly innocuous family photos, features Jo Spence, Sybil Phoenix, Stan Grant, Nuala Campbell, Maggie Murray and Allegra Damji. Based on the pioneering work of feminist photographer and theorist Jo Spence, this 4 part Channel 4 series from 1988 was directed by Nina Kellgren. This third episode, about using photos as therapy, features Jo Spence, Leah Thorn, Maxine Walker, Tessa Boffin, Claudio Solano, Martine Houghton, Stuart Liebermann, Linda Sole. Based on the pioneering work of feminist photographer and theorist Jo Spence, this 4 part Channel 4 series from 1988 was directed by Nina Kellgren. This fourth episode, examining the relations between personal and public histories, features Maxine Walker, Stuart Hall, Maggie Murray, Thelma Reynolds, Sybil Phoenix, Ann Burrell and Allegra Damji. Tony Rayns presents the work of the ‘Fifth Generation’ and other innovative filmmakers who emerged during the 1980s in China. They include: Chen Kaige, Zhankg Yimou, Zhang Zemin, Hu Mei, Wu Tianming, Tian Zhuangzhuang, Huang Jianxing, Zhang Jianya, Wu Yigong, Huang Jianzhong,Zheng Dongtian, Ling Zifeng. Derek Cooper tells the amazing story of the making of this classic Ealing comedy, on location on the island of Barra. 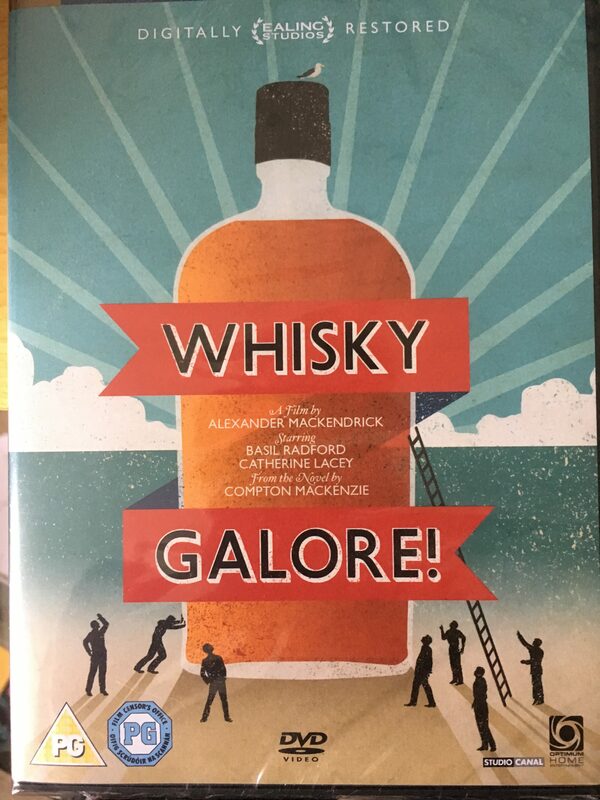 Includes an interviews with director Alexander Mackendrick, islanders who appeared or contributed to the filming and Charles Crichton who edited it for release. 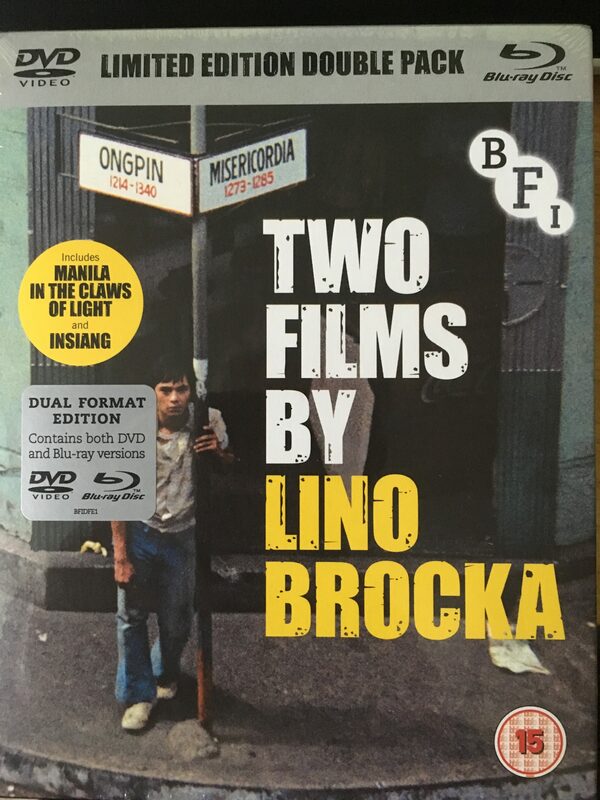 Available on Studio Canal’s 2 disc DVD/BluRay as an extra, along with the full version of islander Angus Campbell’s storytelling about the original wrecked cargo ship. Directed by Murray Grigor. Nick Cooper had the brilliant idea of dramatising a cookery book, specifically the 1930s classic French Cooking in Ten Minutes. In each episode, the writer of the book, Edouard de Pomiane, cooks a 3 course meal for two in ten minutes. Why? That is the mystery which sustains the series. It was made for BBC2 and screened between 10.20 and 10.30 over six weeks. The romance intensifies, and so does the cuisine. The secrets of ten minute cookery revealed by the author of the 1930s classic book ‘French Cooking in Ten Minutes’, Edouard de Pomiane. Episode 4 of the 6 part BBC2 series from 1995, scripted by Nick Cooper and expertly played by Christopher Rozycki. Edouard de Pomiane’s romance with food, and with a mysterious woman, continues in this adaptation of the 1930s classic French Cooking in Ten Minutes. It is July 1930. A Polish doctor in Paris lets us into the secrets of his speedy yet elegant cooking, as well as giving a discrete glimpse into his private life.